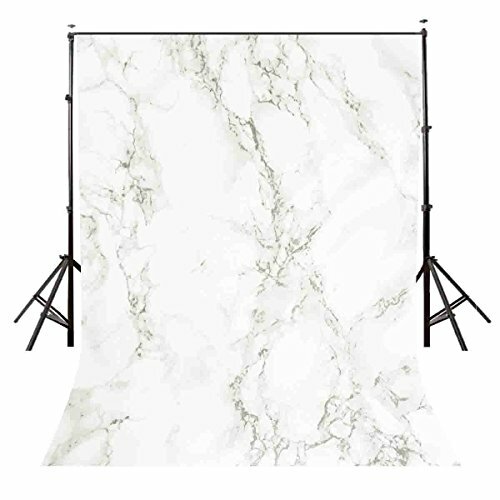 Lyly County 5×7 ft Marble Texture Pattern Studio Photography Backdrop Props BG941 by LYLYCTY at Marco Marcucci. MPN: BG941. Hurry! Limited time offer. Offer valid only while supplies last. Picture: Marble Texture Pattern Feature: Product performance- - - Light, easy to fold,store and carry, can be used as a gift to family,friends. Product performance- - - Light, easy to fold,store and carry, can be used as a gift to family,friends. Material Appearance - - - Polyester fiber. Non washable ,color fidelity, not easy fade, artistic effect stereo sense of strong. High quality - - - Durable, anti-wrinkle-free, wipes easy to clean, non-reflective. Occasion- - - Outdoor shooting, wedding, party, birthday party, festivals, video, TV live, YouTube, digital photography background;Newborn ,kids and product photography . Factory Direct - - - Factory strength, has advanced high-tech digital production equipment, specializing in the production of digital pictures, inkjet pictures, can produce different sizes of the background cloth. Please keep it away from water and fire! In order to facilitate transport, the background cloth will be folded packaging, so there may be creases, don't worry, will not affect the use. Rolled tightly with a cylinder, waiting for 3-4 days. Background need to keep the distance to take photo. Our pictures are high-resolution, but because the picture is printed to the background cloth needs to be enlarged, few cases may make the background picture look a bit pixelated, but will not affect your use. Normally: Due to the different color calibration of each computer screen, the background screen may be slightly different from the picture display color, but does not affect your use, hope you can understand. If you have any questions, please email us anytime. We will do our best to service for you. Your advice will make us better and make you more satisfied. 1.Product performance - - - Light, easy to fold,store and carry, can be used as a gift to family, relatives and friends. 2.Material Appearance - - - Polyester fiber.Computer-printed , color fidelity, high quality, not easy fade, artistic effect stereo sense of strong. 3.High quality - - - durable, anti-wrinkle, wipes easy to clean, non-reflective. 4.Occasion - - - outdoor shooting, wedding, party, birthday party, festivals, video, TV live, YouTube, digital photography background;newborns, children and product photography (depending on the background). 5.Factory Direct - - - factory strength, has a very advanced high-tech digital production equipment, specializing in the production of digital pictures, inkjet pictures, can produce different sizes of the background cloth. If you have any questions about this product by LYLYCTY, contact us by completing and submitting the form below. If you are looking for a specif part number, please include it with your message.